Social justice opportunities for the parish include the following. Click on links below to learn more information about any of the ministries. The Garden Door Ministry serves those in need in downtown Indianapolis by providing food and drink daily as well as other needs such as clothing when available. 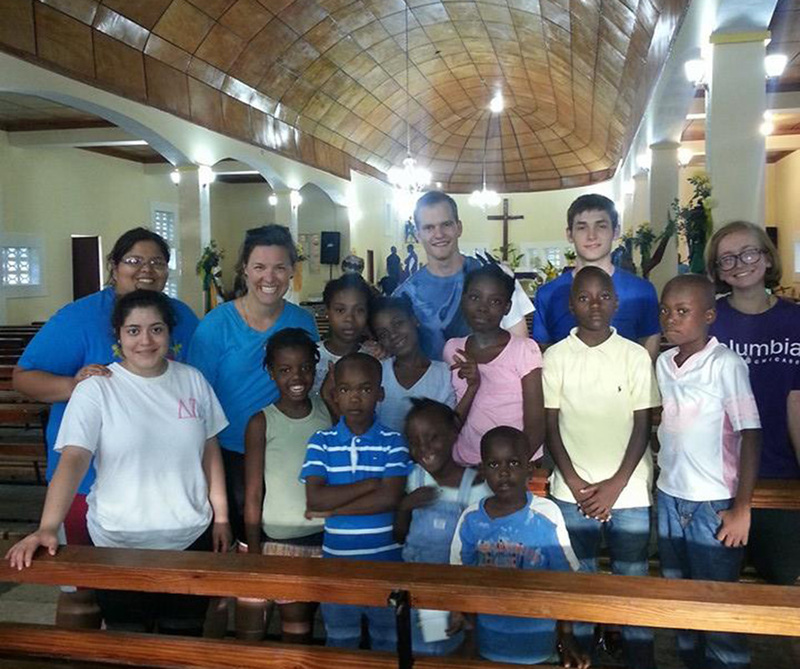 The Haiti ministry builds relationships with our sister parish in northwest Haiti, Mole-St. Nicolas. Seeing Christ and being Christ to all we encounter answers God’s call to solidarity. The Sanctity of Life Committee has outreach with the Gabriel Project, supporting mothers and their families who chose life as well as participating in the 40 Days for Life fall and spring campaigns. The group works closely with Holy Rosary Catholic Parish in support pro life ministry in the city and sponsoring movie viewings at each of the parishes. There are also second Sunday brunches hosted at the Knights of Columbus in downtown that a portion of the proceeds from the brunches go to St. John's pro-life ministry. Interested in getting involved in this outreach opportunities? Click below to learn more. The main mission of the Beloved Daughters of St. John's is in service! Our focus is on funeral luncheons, pro-life outreach, service to the poor and other called upon needs of the parish. Learn more about the local St. Vincent de Paul outreach in Indianapolis. Email Mike and Connie Pope for more information!